Being principal of a sailing school is not for sissies. You need a strong voice and you must have your wits about you. There are thousands of rands’ worth of boats out on the water, in the hands of youngsters who believe they can conquer the world. It’s a case of “mind the boom”, “duck your head”, “DU-U-U-CK!” And, “Out the way of that boat. If you hit it you’ll make a big hole. I said ‘tack’: this means push, not jibe.” “Pull your sail in! 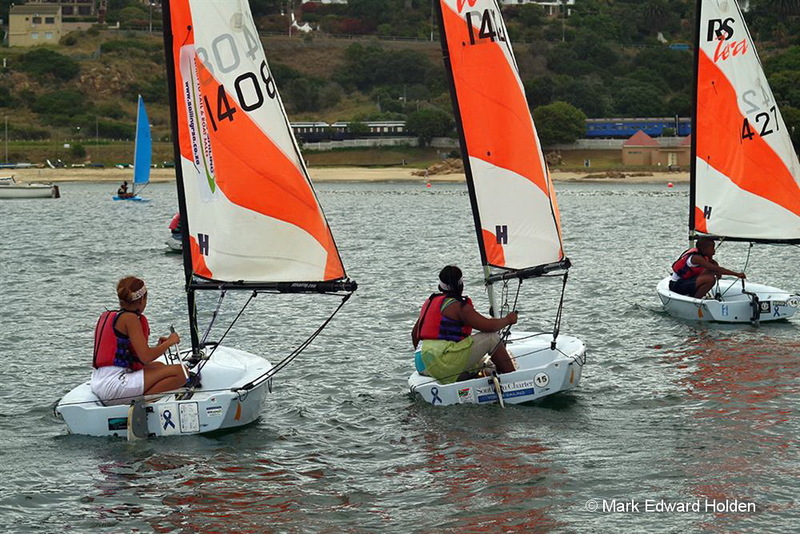 Your sail, not your rudder!” But Elfie Holden, principal of Garden Route Sailing, is up to this challenge. As the wayward boats weave around her, she stands her ground (water?) in a rubber duck, petrol fumes wafting around her, and shouts instructions in her high, clear voice. No microphone needed. These urgent directives are peppered with fun, lots of laughs and plenty of encouragement and one can see why the young sailors rush up to “Aunty Elfie” bfore the lesson and hug her affectionately. She gets to know the children well and understands their personalities and what she can expect from them. There is the one who wants to fly before she can walk and the other who loves sailing but is not competitive: the cruiser, not the racer. Besides instructing school children, Elfie also offers sailing lessons to private individuals and competitive sailors on Mondays and Fridays. Last year the work of the sailing school was recognised by the world-renowned Andrew Simpson Sailing Foundation. “They assisted us to continue to provide the community with free sail training. Also, we can now provide a small meal in the afternoon to some of our learners and a bus service was organised from Ridge View Primary school to the harbour and back home.” The sailing school is the only one in the area that provides sailing lessons five days a week and the only sailing school in the country operating on the sea. 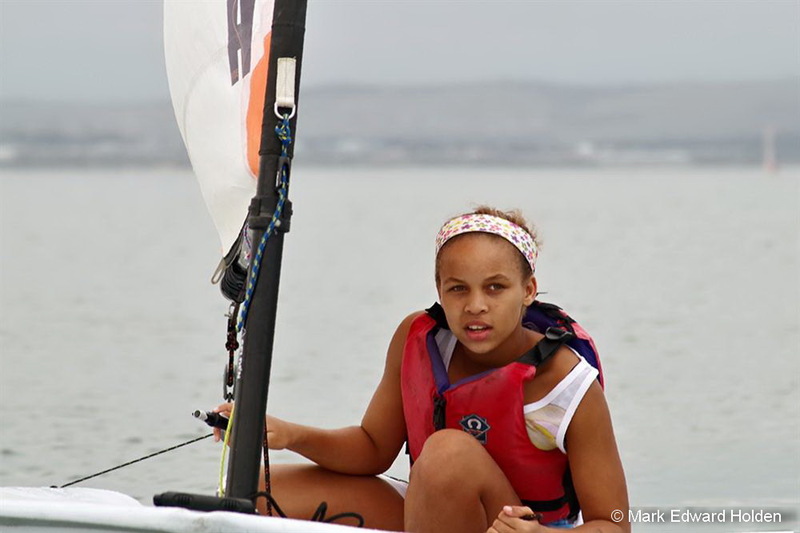 Both the sailing foundation and the Department of Cultural Affairs and Sport (DCAS) Western Cape have given learners the opportunity to participate in five regional and national events across the country. 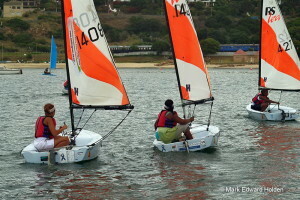 DCAS also provided a bus for high school children from Sao Bras and Hillcrest High to attend sailing lessons on Thursday afternoons. Holden says: “We have had two Protea sailors and quite a few other sailors that have raced at international level. Three of our instructors are now being invited to teach sailing at the summer camps in the USA.” The Holdens’ school teaches up to 98 sailors a week, of which 45 are from previously disadvantaged groups. “We have 60 primary school and 38 high school learners. Seventeen of this group come for private, paid lessons. “Sailing is great for many reasons,” Holden says. “It improves your balance and large motor skills tremendously. 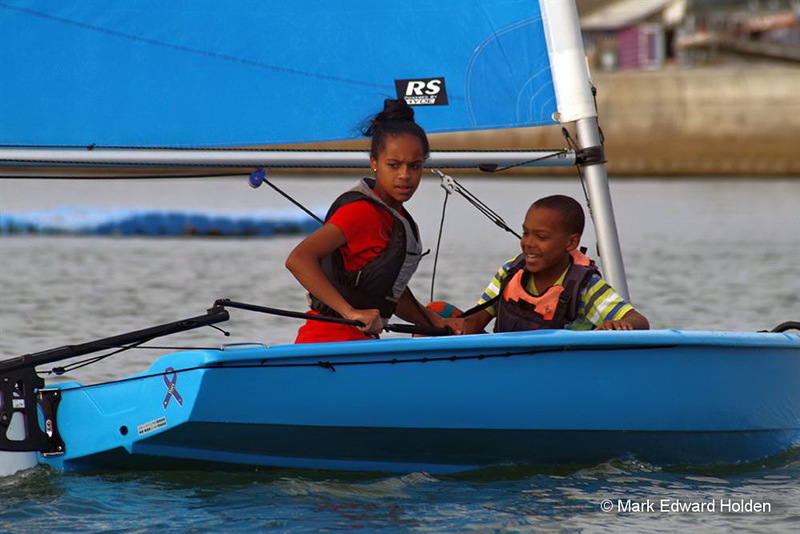 Sailing requires lots of concentration on many aspects and learning this at sailing is then carried over to children’s studies. “Sail racing is a very strategic game and we have found this has had a very positive impact on students’ marks, especially in maths. Out at sea, you have to learn to deal with the situations handed to you and I have found that my sailors are more resourceful and positive when they deal with problems.” Holden points out to her pupils that sailing is like being allowed to drive your own car at the age of nine. Who can resist an opportunity like that?